While everyone has been rooting for Gemma Ward to make a comeback, a select few of us have been rooting for Snejana. Beauty magazines are receiving a bashing this month. Allure Russia's October cover appears to be fairly generic. 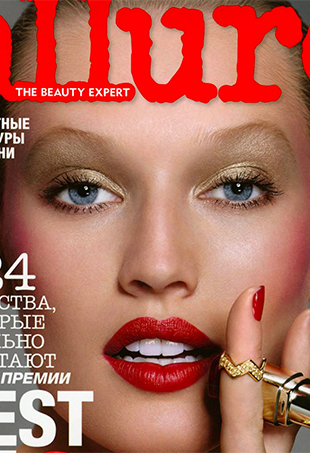 The Russian edition of Allure is transporting us into the future with its September issue. Czech beauty Karolina Kurkova covers the June 2014 issue of Russian Allure. This is the face of a makeup addict.